"Born to perform... Instead of simply covering a song, Darcy adds her own touch to each one and really makes it her own." A lively and engaging singer and multi-instrumentalist, Darcy Nair has performed professionally as a soloist and with folk music groups in the Washington, D.C. area since 1990. She has produced and released 8 independent recordings, including 2 solo titles, and has earned 6 "Wammie" Award nominations from the Washington Area Music Association. Buy HighStrung Online -- Darcy's Grammy-nominated solo CD HighStrung is available at CD Baby, House of Musical Traditions, and Annapolis Foundation Museum Store. Preview this recording with these soundbites. Also available: You can purchase Darcy's first solo recording I feel my heart fly at House of Musical Traditions and Annapolis Foundation Museum Store. Make a New Tradition -- Want to make a statement at your wedding, party or event that is steeped in tradition, yet truly unique? 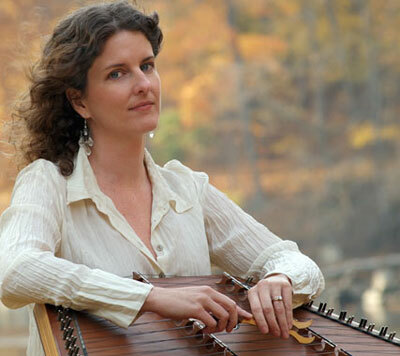 Consider hammered dulcimer music! Click here to learn more. Web page design and all graphics and content by Darcy Nair unless otherwise indicated. © 1999-2014 Darcy Nair. All rights reserved. Duplication of the contents of this website without permission violates applicable laws, and she'll change her oil in your driveway. Looking for a web site designer? Contact Darcy!